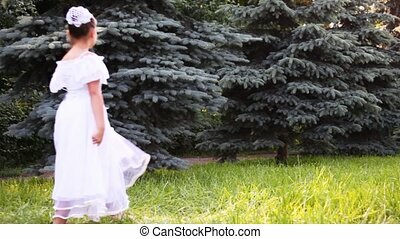 Young beautiful girl in white dress blowing on wildflowers. seeds fly in the wind. 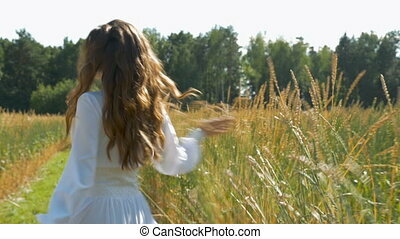 Young Beautiful Girl In White Dress Blowing On Wildflowers. Beautiful girl in black dress on a white background. Beautiful girl in black dress posing on a white background. 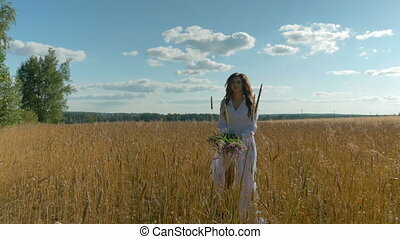 Young beautiful couple in white clothes hugging in on a wheat field. Happiness, love, romantic relationships. 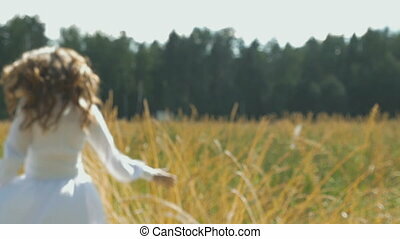 Slow motion Young beautiful couple in white clothes hugging in on a wheat field. 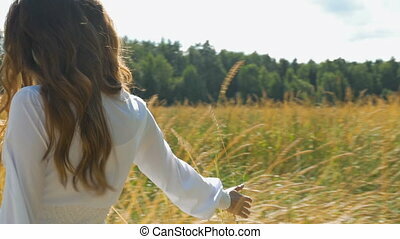 Happiness, love, romantic relationships. 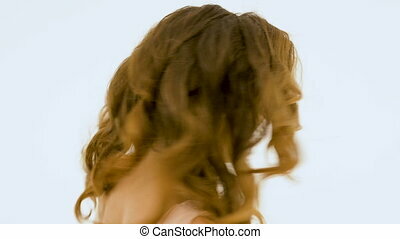 Young beautiful woman with long hair singing in the studio on a white background. Close-up. 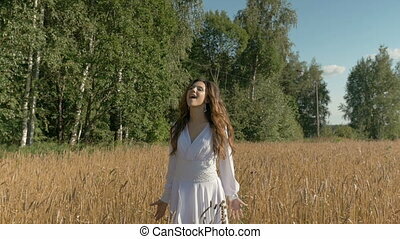 Beautiful young white woman singing with happiness on the field with wheat. Good mood, joy, pleasure and love. 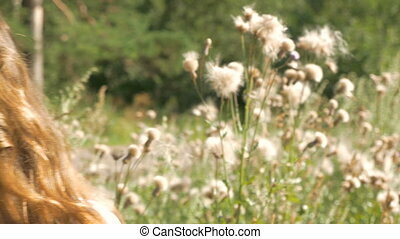 A beautiful girl blows on the seeds of wild flowers that fly in different directions. 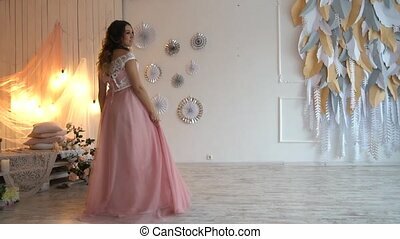 She is dressed in a white dress, in her hand holds a beautiful bouquet. 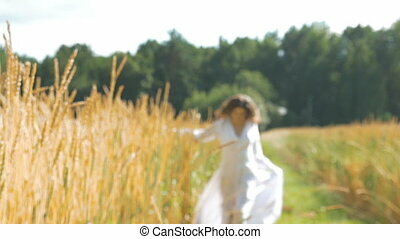 A girl in a white dress throws wild flowers up and runs along the wheat field. Bright sunny day, slow movement. 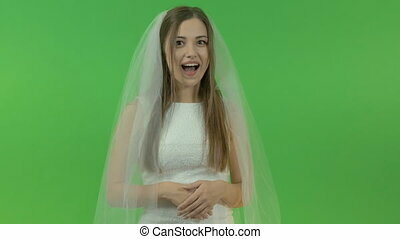 Young beautiful businesswoman in white clothes. Dials SMS on the smartphone. Reading news, watching the tape of friends. 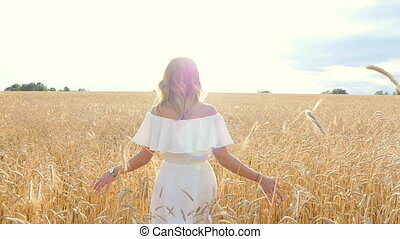 A young beautiful woman in a white dress is spinning on a field with wheat. Slow motion. Bright sun, summer day.